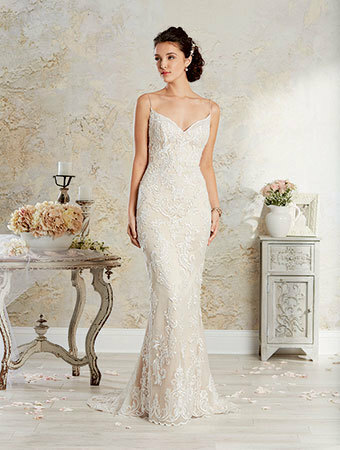 Modern sheath wedding gown with intricately hand-placed embroidered lace. 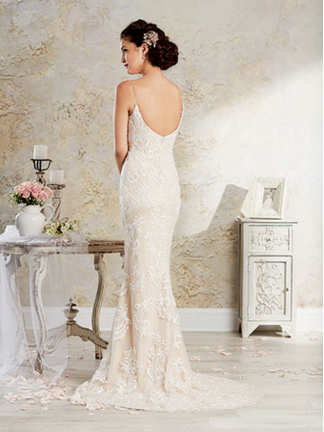 The sweetheart neckline and thin spaghetti straps open up to a dramatic low back. A chapel length train adorns this gown.